OMG Posters! 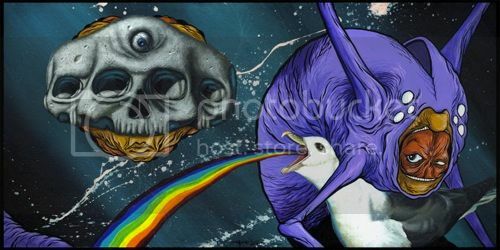 » Archive "BFF's" Art Print by Alex Pardee and Robert Bowen - OMG Posters! Robert Bowen and Alex Pardee have teamed up for “BFF’s”, a brand new collaborative art print. It’s a 12″ x 24″ giclee, has an edition of 100, and is $45. Visit RobertBowenArt.com.